The legacy of Mary Frances Clarke and the founding Sisters is alive at Clarke through the vibrancy of our campus community and longstanding traditions. Membership in the Founders’ Annual Giving Society is reserved for alumni, friends and organizations contributing $1,000 or more to Clarke each year. These leadership gifts ensure our students have a well-rounded experience both inside and outside of the classroom by supporting academic programs, enrichment activities and facility enhancements. In recognition of Clarke’s 175th anniversary, we honor Mother Mary Frances Clarke’s directive to keep our school progressive with the times in which we live. As Clarke continues to evolve, we remain committed to challenging and supporting our students, who are the heart of our institution, in their intellectual, spiritual, and personal growth. 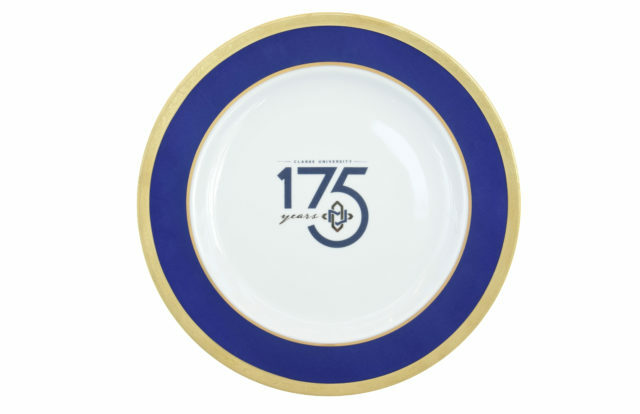 This distinctive, limited edition, decorative plate recognizes our donors whose cumulative generosity equals $2,500 or more during Clarke’s 175th anniversary year. (Fiscal Year 2019: June 1, 2018 – May 31, 2019). These plates are not available for outright purchase as they are a special donor gift while supplies last. 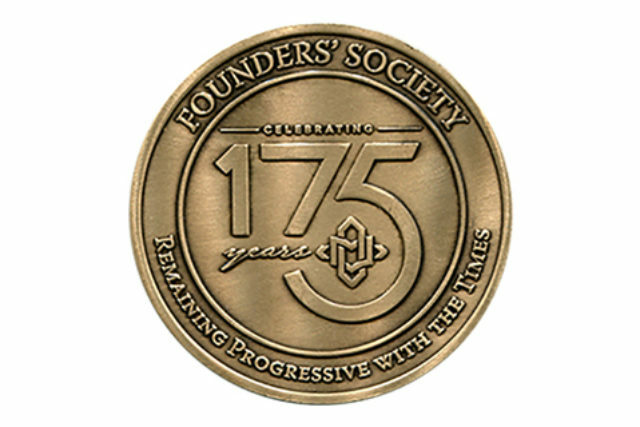 Become a member of the Founders' Annual Giving Society today!